10Th Anniversary. A fly in a virtual valley. 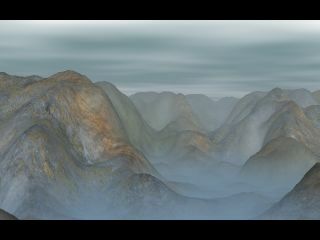 You can create your own landcape, use your texture, and modify the color of the sky and the fog. Can you save shot in multiple resolution. Freeware.